We will always do our best to cut all yardage in one continuous piece. 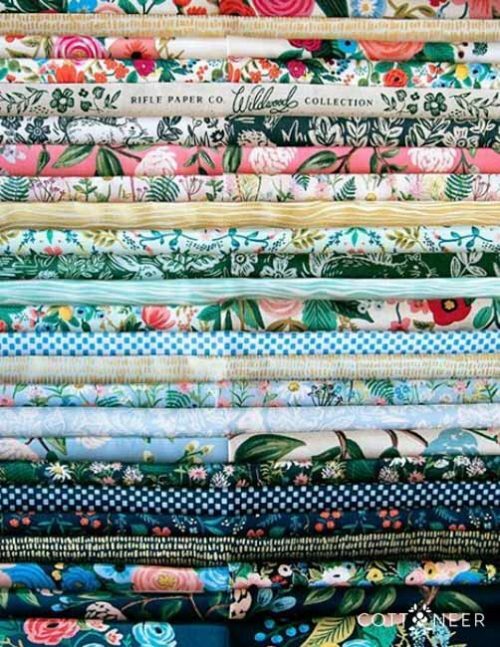 Choose to order yardage by entering a quantity of half yards! World travel and ancient craft come together to form Wanderer, where April Rhodes creates her own language through a panorama of adventure dotted by symbols from her heritage, destinations and dreams. These artful designs are tied in with a fiery orange, dusky blues, and sandstone. One side of the selvedge contains a border design as shown in inset pictures.